1893: Challenge Machinery Corp. established after the dissolution of Shniedewend & Lee. 1931: Challenge acquired Potter and Poco brands from Hacker Mfg. 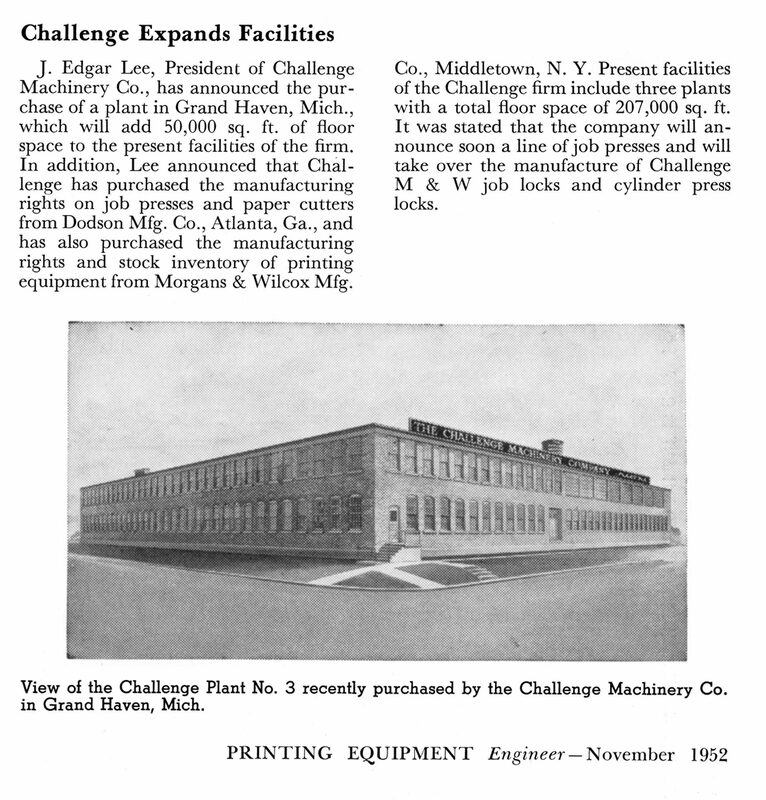 1938: Challenge introduces its own line of proof presses. 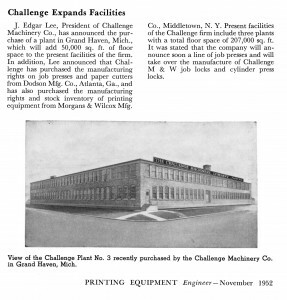 1952: Challenge expands it facilities. 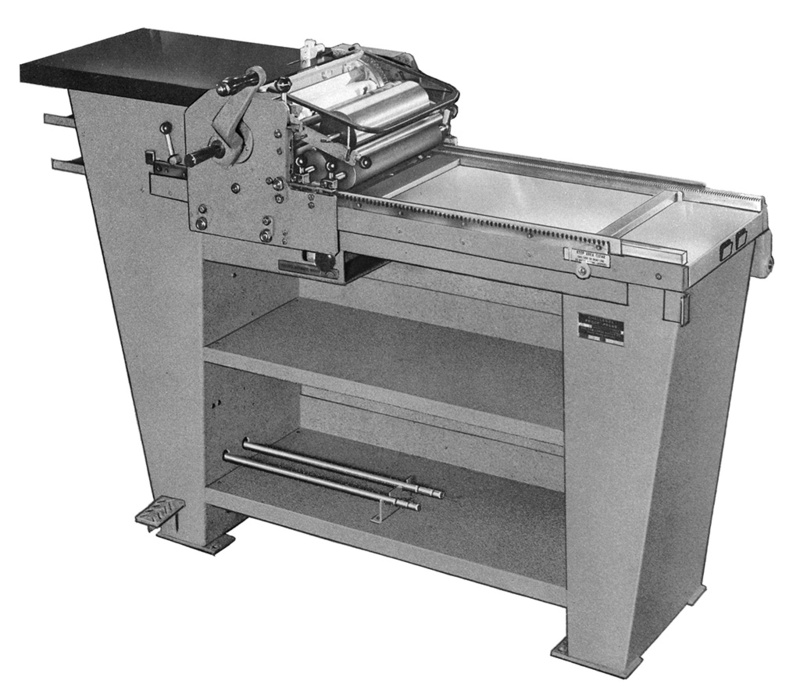 1964: Challenge introduces the M series repro press, its first to feature a fixed bed and rolling carriage. 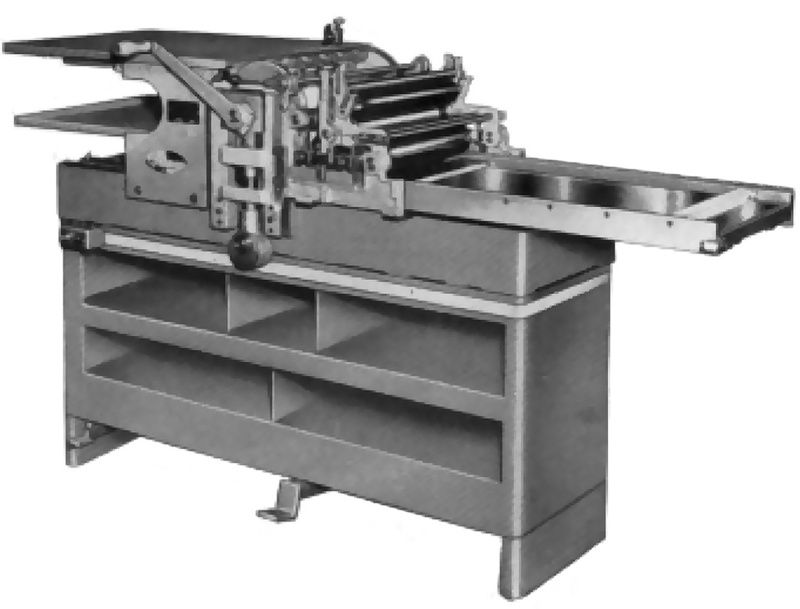 Very similar to the Vandercook SP series. 1973 (? ): Challenge stops making proof presses. Present: Challenge is still in business manufacturing paper cutters, drills, folders and joggers. Vandercookpress.info is not legally affiliated with any owners of the names Challenge, Hacker, Potter, Poco or Vandercook.